Home » Articles » 130. But I Don’t Want to Detach Myself From My Father! ← 129. Do You Feel the Need to Eat More Fats? “Detach father”, step 3 of the MIR-Method, often leads to a discussion. “I don’t want to detach myself from my father. I’ve got such a good relationship with him.” “I had a wonderful childhood, why should I detach myself from my parents?” “My father died; it doesn’t feel good to detach myself from him.” These are all easily understood reactions and it’s good to understand better how it works. What does “detach father” do? What it does is to detach yourself from your father. From all of his expectations, his projections, his words towards you, his energy, his emotions. And also from everything you did towards your father. Your expectations of him, your behavior to win his love, the defense mechanisms you developed, your longing for the father he wasn’t capable of being. When you say, “Detach father”, you are telling your subconscious, “My father has his life and I have mine”. You take your father out of your system and let him go. He can go his own way. You free yourself to make uninfluenced choices so you can go your own way. When you say, “Detach father” with step 3, that not only affects the detachment from your father but from all the men and boys you ever met during your life, including former lives. Your grandfather, uncle, brother, son, nephew, ex-husband, ex-boyfriend, the dentist, Santa Claus, your teachers, the pastor, the reverend, your boss, your colleagues, the police officer, the neighbor, the army commander, the bully at school, your dead brother, etc. And don’t forget your current partner! It’s a big step, with which you free yourself from events and cut the lines with men/boys through whom you are still influenced without you being aware of it. You become less sensitive to the unpleasant influences of men in general, such as dominance, intimidation or aggression. You remain steady in your own strength. You don’t allow yourself to be overwhelmed or daunted as easily. If your father has already passed away, step 3 still works. In spite of his death, you can detach yourself from your father or other men who have passed away, because they can still have an unnoticed influence on you through the way you think about them. “What would father have said?” It doesn’t need to be negative. Maybe the connection to your dad was great and you miss him a lot. “Detach father” can then sound so negative! Yes, I understand that! It’s good to know that all of the MIR-Method is focused on your growth. If you do step 3, it won’t change the bond between you and your father, because it was great. It will more likely strengthen you to be able to draw from a clear picture of how a father can be! For you, step 3 is more focused on detaching yourself from other men. You stroke “Detach father” and the warmth and love for your father remain intact while you detach yourself from all other men. Most people find the absence of a father difficult. Fathers in past generations were mainly busy with work. They weren’t home much and when they were, they were often tired or distracted. As a child, you had to leave your father alone. “Be quiet; your father is reading the newspaper.” The absence of a father figure can leave a deep hollowness within you and a feeling of insecurity or inconsolability. That may be the reason that you need more sweets, often have headaches, problems with your intestines or too much abdominal fat. The absence of a father during your childhood goes much deeper than you would think. It can be the root of many emotional problems. It makes me very happy that an increasing number of young fathers choose to spend more time with their child! Fatherhood has changed! Hooray! Step 3 “Detach father” has another remarkable effect. You free yourself from your father’s system. He goes his way. You go yours. And then the contact between the two of you improves! I’ve read many people report that the contact between them and their fathers or brothers improved by doing the MIR-Method! Or between an ex-husband and ex-wife! How wonderful! Whole adult families reunited again after years of not seeing one another. They could suddenly get over the very high barriers between them! When family arguments are dealt with, it’s pure happiness. I enjoy this phenomenon of the MIR-Method enormously because I like seeing people in harmony with one another. It was a surprise to me that it works this way, but, in hindsight, could see the logic in it. Wonderful! And how about you? Have you noticed that you are stronger in the presence of (other) men? During discussions? Do you go your own way more? I’d love to hear about it! Please write about it below. Thank you! My sincere wish is that you become ever stronger with respect to (other) men! I’m wondering if all this intellectualizing is just …. It’s a fun thing to conjure up, Mireille, but it’s all about time for yourself, meditation and self connection, not your body operating on commands. It couldon’t possibly. Plus it’s sad going your own way. You eventually go a way toward what and who? It makes no sense to detach and be alone. When you dig into the MIR-Method a little deeper you will find out it is not about commanding your body, but your subconscious. It is not really commanding, but firmly asking your subconscious to change its ways. In the way that is best for you, your body and your life’s path. 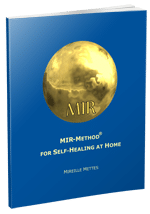 The MIR-Method was created in my practice with my clients. With a series of coincidences… I never expected to create a method, but it somehow created itseld. Then is was just a matter of setting it free to the world and hoping people will want to give it a try. And yes, I totally agree with you on that ‘It is all about time for yourself and self connection.’ That is what is experienced through stroking your own hand and staying close to yourself. Besides that, it is not about detaching and being alone. It is about detaching and letting other people develop themselves without being interfered to much by others. It usually makes relationships better! Good article !! I had not thought about my father for a long time. He has been gone for almost two decades. He did his best to be a good father but had many health problems due to stress from life in the third dimension. Yes, and being able to see that is quite courageous! I am glad the way you can handle it.